Furniture Care Tips was created to provide our readers with suggestions and tips for caring for their fine home furnishings. Furniture care professionals with 40 years experience help you with the care of your wood, rattan, wicker, fine antiques and outdoor furniture and accessories. Furnishing your home with quality furniture is a major investment. 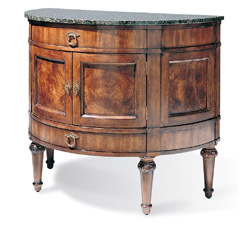 Proper care of your fine furniture will give you years of enjoyment. What can you do to protect the finish on your furniture? Cleaners, waxes and polishes are available to help protect the finish on all of your furniture from scratches and abrasions. Cleaning and polishing your furniture should be done on a regular basis. Dust attracts moisture, which can accumulate and soften the finish on your furniture. This can lead to further damage, possibly to the wood itself. There are a variety of furniture care products readily available at most department stores, hardware centers and even in supermarkets. Regular care and maintenance will give you the years or satisfaction that you expected when purchasing your home furnishings.